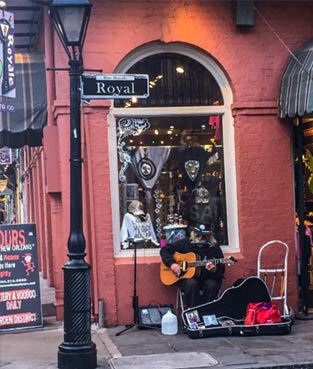 Lafreniere Park | Experience New Orleans! Located in Metairie just outside New Orleans, Lafreniere Park offers greenery and family fun in the heart of Jefferson Parish. The park hosts several larger events throughout the year, but year round it is used for public greenspace, sports games and tournaments, and private parties. Lafreniere Park was once a plantation owned by Nicolas Chauvin, who later took the name de la Freniere, but in 1954 the land became the Magnolia Park Inc. Harness Racing course. The racetrack was renamed Jefferson Downs in 1959. After the racetrack was destroyed by Hurricane Betsy in 1965, the racetrack was relocated, leaving the site vacant. Local citizens supported the building of a park, and in the mid-1970s, Jefferson Parish purchased the former Jefferson Downs property. The groundbreaking ceremony for the new park, which was named Lafreniere Park in honor of the land’s former plantation owner, was in September 1977, and in November 1982, the park was officially dedicated. 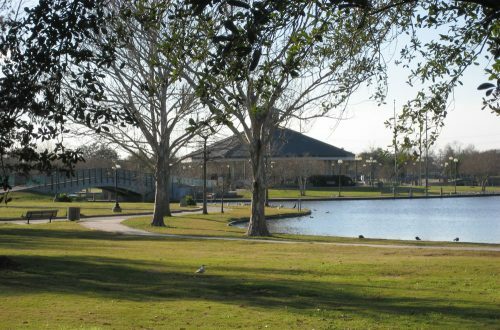 Lafreniere Park is best known for offering plenty of greenspace for outdoor recreation in addition to playgrounds, athletic fields, and other areas for recreation and events. Lafreniere Park offers five soccer/multi-use fields and four softball fields as well as a nine-hole disc golf course. The 2-mile Healthtrak meanders around much of the park’s acreage, and Bark Park is a five-acre dog park sectioned into two areas for large and small dogs. For more family fun, in the center of the park, the covered Carousel pavilion offers $1 rides for the public and also can be booked for private parties. Nearby is the 4,000-square-foot Spray Park complete with five in-ground, five above ground, and three water cannons built especially for children 10 and under. The park is open to the public seasonally and available for private parties. For special events, Lafreniere Park offers Pavilion Island, a large structure in the center of the park surrounded by a lagoon, the Open Meadow, a large greenspace encircled by hills, the Foundation Center, which was built specifically for special events like parties, meetings, and small weddings, and behind it, the Patio Garden, which offers an outdoor area for events at the center. Lafreniere Park also provides opportunities for nature lovers to learn about the flora and fauna Louisiana has to offer, specifically Marsh Island, which is a dedicated bird sanctuary. Marsh Island features natural vegetation and animal life not found in other areas of the park. When taking a break from the hustle and bustle of the New Orleans city proper, Lafreniere Park is a welcoming and scenic site for fun and relaxation.